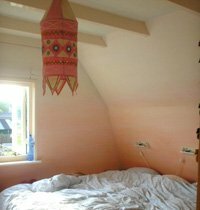 On this site, you'll find painting ideas and techniques on art and interior design. Painting is a craft and so is good design: both art and interior design are about beauty that lasts. As a home-maker, oil painter and muralist I hope to share some of my experience. Classical underpainting techniques tell a lot about the way colors work together - applying these, even muddy earth colors can be made to glow. There are tricks and recipes, for creating a visual harmony. 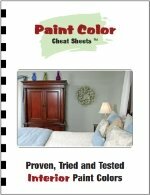 On this site you'll find DIY painting info, but also tips and ways for good paint colors and color schemes. Interior painting always has an artistic side to it, even if you're painting your home. Check here for some ideas on painting your kitchen, bedroom, nursery, or bathroom. Interior painting is on one hand about materials and preparations - that's DIY-knowledge. But it's also about color, proportions, light, and making creative choices. In art, a DIY approach is a good thing. Knowledge on painting techniques has gone rare, even in art schools. But the interest in painting skills is coming back. In the 20th century, art painting tried to comply with science (according to which 'color doesn't really exist'), and more than once the end of painting was announced. But the wind is changing, beauty is coming back into contemporary art. I'd like to think of this site, as a place where one can pick up some basics on how to create it. There's also a material side to it. The durability of oil paint depends very much on the way of layering. Oil paint is just a raw ingredient. You'll also find tips on color mixing, portraiture, landscape and abstract painting that will give you some ideas to start on. Click here for tips on judging your work while you're at it. I did - I'm an artist (check here to look at my gallery). Throughout the years I've done canvases but also big wall paintings and faux painting projects. I did some color research, and also painting jobs on the side. I like the idea of painting being a craft, my art always had a folk side to it. I like art to have meaning, but also to give joy, sustain health and a creative life. The good news is: you don’t have to be a genius. Painting is just like cooking. You go through some recipes, buy ingredients, prepare them and then you just do it. Besides getting the right recipes and ingredients, the most important is: to be there in the moment, with your attention. To taste, smell and use your imagination. Do you like cooking? Are you good with clothes, make-up, flowers? Then you’re sure to have some talent for painting as well. Some things can only be learned by experience and, well - failure. One learns the most by making mistakes. I learned a lot. I've put it up here, for you to take advantage of. Good design doesn’t go out of style. It fullfills the basic human need to experience some essence of nature, in a human way. Beauty like that is of all ages. Well OK, I’m idealistic. But I know it can be done. Painting is a craft like any other. For a while, people believed painting to be the irrational eruption of a genius. But the best abstract painters were those, who had an oldfashioned training in oil painting. The painting ideas and techniques from this craft are the basis of all good design. When you are planning a painting job, you decide on lots of little things concearning colors, materials and techniques. Along with the practical info you need, you’ll find painting ideas on color layering and color schemes, and maybe some computer tools to help you visualize your results, and make a solid plan that's in line with your practical possibilities. 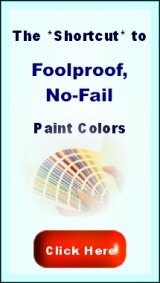 That gives you also a beforehand idea about your results, so you can signal difficulties before you bump into them during your painting job. Artistic elements have a profound logic of their own. I won't tell you it's easy - Making an interior painting design is a lot like engeneering. But even a child or a savvy amateur can come a long way, if you take some time for the process. You'll also find tips for designing help, like paintcolor cheat sheets and painting software. On each page, designer laws and info was combined with material know-how - and that's a powerful combination. When you apply designer laws to your interior painting design, combined with some good common sense, you can create a natural balance and a home that reflects something of who you are. Sometimes one needs to think outside the box. Rules are great, but you can't base your choices on them. They're like a checklist, or tools to empower you. They shine a light on your choices, but first you make the choices. Color schemes are great, but they need to accomplish your furniture. Pictures of interior design give you ideas, but they don't show you what it's like to live in them, or how colors like that will work in your own room, with your specific daylight. A lot of the painting ideas on this site are actually about color. Color is an energy: both light and matter. In its natural form, it lives and oozes. Colors like that don't come straight out of a paintcan. But even the most chemical colors can be brought back into natural harmony. It's a matter of using the right colors in the right amounts - balanced to one another. 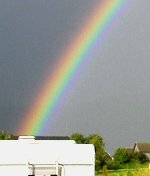 Colors can also be adjusted in mixing or layering techniques, for example in color washing techniques. That's a skill - a very refined one - but it can be done if you take you time to watch, smell and 'taste' your way into the colors. The life-sustaining quality of color is especially good for children. The child’s brain develops by the sensory perceptions it receives. Give children good colors and classical music (along with love and good food), and they will develop into intelligent and balanced adults. Esthetic satisfaction is a proces where cleaning, sanding and filling holes go hand in hand with deliberations on color schemes and designing styles. Combining the practical to the artistic is what creates the endresult. 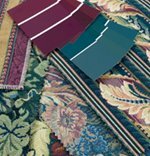 Somewhere in the middle of it, you add that little extra - by choosing the right color, picking the right sheen or doing the right preps. You build a look-and-feel, but you do it with your own two hands. But when you have some beforehand knowledge on materials and color effects, you can count them in. Maybe it helps preventing cases like: bumping into unexpected effects while you’re in the middle of a painting job. Or looking at your finished room, and seeing the walls are too dark, or the colors too strong. Or, looking at your woodwork that was done a few years ago, seeing it starting to peel off again. Reading through the pages of this site will help you make the best of it. The art of painting is a slow art, that needs practicing. You can’t learn to play the piano in one lesson, but I’ll give you my recipes, so you can learn lot faster than I did. But practicing is great really… To practice painting can be a form of relaxation - and, if you want, meditation – on itself. You learn to focus, without putting yourself under stress. To plan your work, yet to act on the moment. When the process of painting is one flow of decision, one stream of quiet awareness, you can hardly go wrong: you’ll automatically hesitate and stop before making the ‘mistake’. It’s all about tasting, smelling, and adjusting things to fit the way you really like it. In the beginning, you still follow 'rules' to explore the road. But after that, you can find your own way and bend the rules, to support your individual artistic expression. If you see art of which you don't see the point: don't meekly conclude that you 'probably don't understand art'. My (maybe idealistic) but serious belief is, that anyone can see if an artwork is good, or not. Some people believe that art should be above life and human feelings, because human life and feelings are vulgar. But I'd rather have lots of mediocre and melodramatic art with real heart in it, than to risk loosing one true artist because he or she thinks she 'doesn't understand art'. When you're looking for short-term profit: don't go into the arts. Artists give stuff away. Some make money, others don't. It does help, if you can make stuff that other people find beautiful or relevant. But really good art works are not made out of egoism - only if we step over that and give away our best, our work will be good enough. This effort is invisible and takes courage. This is why painters need each other, because we understand each other. That's how we can keep generating that beauty.